I work with you as a person in your own circumstances or situation. Problems whether they are big or small, are important if they interfere with your life. I want to help. I have a particular interest in relationships, the ones you have with other people and the one you have with yourself. 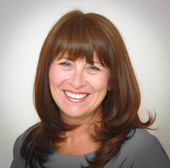 I offer individual and couples counselling, and I work as a divorce and mediation coach and counsellor. Counselling helps when you have problems, big or small, that interfere with your life. I work with you as a person in your own circumstances or situation. I want to help. I offer individual and couples counselling. I offer Person Centered counselling because it is widely used for a number of difficulties that many people experience in their daily lives. This means I have a humanistic and holistic approach. There have been many advances in counselling including Cognitive Behaviour Therapy (CBT) and Mindfulness. I integrate these and other therapeutic resources into my work so you can be confident in being able to have access to a wide range of solutions that might work for you. I have a strong interest for learning and a particular interest in the recent developments in neuro-psychology and philosophy of mind, including spiritual aspects of psychological health and wellbeing. I volunteer as a trustee for Manchester Mind, where I am currently Chair, and I am involved in the partnership of local Mind organisations called Mind in Greater Manchester. Together we work to ensure people experience better mental health and support people with their mental health to live well in their communities and at work. I provide bespoke training and workshops to companies and organisations throughout Greater Manchester. I particularly provide training for legal and family mediation teams to enhance psychologically informed practice. I also support solicitors to comply with reflective practice requirements. I offer professional training to counsellors, psychotherapists and family therapists in advanced divorce counselling and coaching. I have developed a model for the divorce support group and run workshops 'Letting go and moving on' and 'Emotional Reboot' for individuals to support post divorce recovery.